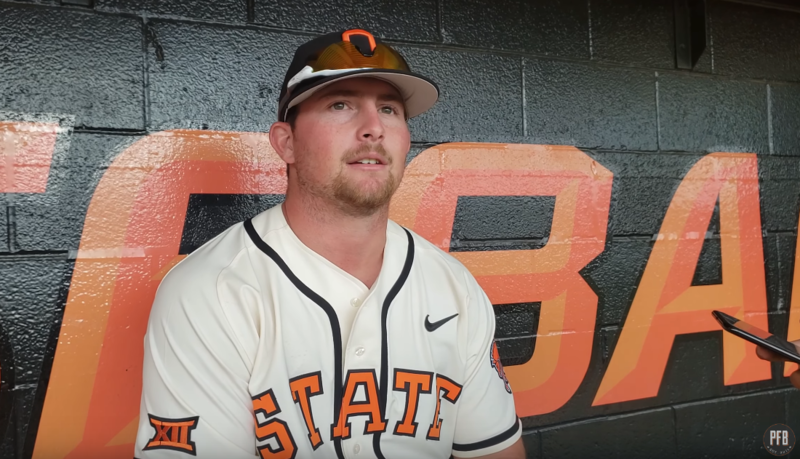 Hear from the Pokes after the big comeback win. STILLWATER — The Oklahoma State baseball team came back from a five-run deficit to defeat West Virginia 9-5 on Saturday in Allie P. Reynolds Stadium. Colin Simpson hit a grand slam in the eighth inning to win the game. Afterward, Simpson, Josh Holliday and Trevor Boone met with the media to discuss Saturday’s festivities and preview Sunday’s rubber match.